On September 24, 2018, an induction ceremony for new Access students was held in Pero Nakov Secondary School in Kumanovo. The two-year Access program will provide 25 students a solid grounding in both spoken and written English and equip them with that can lead to better jobs and educational opportunities. To officially mark the beginning of the ceremony, the U.S. Ambassador Jess Baily delivered welcoming remarks. Acknowledging the enthusiasm of the students who will participate in the program, he encouraged them to pursue knowledge and follow their dreams in the upcoming years. As the U.S. Ambassador proceeded to hand the students certificates of award, their parents and teachers were excitedly following the ceremony. “I am very excited to participate in this program. I think this will give me an opportunity to learn the language better, to meet new friends and to learn more about the United States of America”, said one of the students participating in the program. 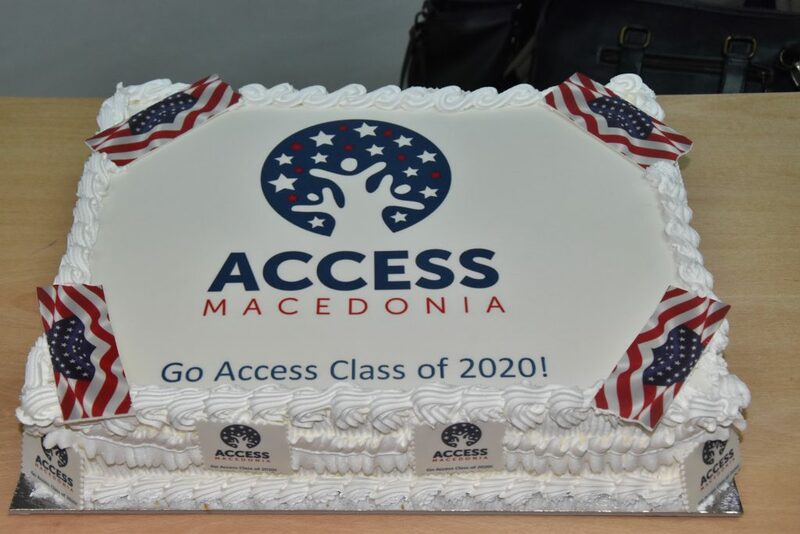 The event finished with the cutting of the ceremonious Access cake, inspiring the new Access program 2018-2020 generation to have achieve great success with this program. The English Access Microscholarship Program (Access) aims to prepare students to develop conversational English language skills, with native and nonnative speakers of the English language, through a variety of experimental learning activities. The goal is to make Access program students gain an appreciation for U.S. culture and its democratic values through various positive enhancement activities. 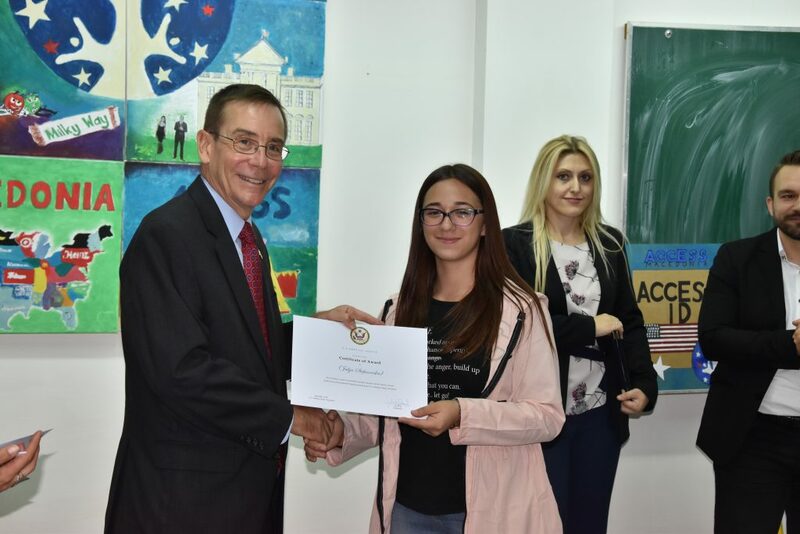 In addition, Access program will equip the selected students, chosen to participate in this program, with strong English language skills that can lead to better jobs, educational opportunities, and gaining the ability to participate in, and compete, for future exchanges and studies in the United States.